This is the rare, timeless reboot that people will want to watch again and again. That is, until it’s remade. On October 5, 2017, The New York Times published its opening salvo of accusations against Harvey Weinstein, kicking off what would become known as the #MeToo era. Exactly one year later, “A Star Is Born” premiered across America after several weeks of Oscar lobbying on the film festival circuit. It seems strange to celebrate the one year anniversary of #MeToo with a reboot rooted in some of the ugliest patriarchal stereotypes Hollywood has to offer. But this is the rare movie that is aware of the legacy that precedes it — and works hard to mitigate those elements. 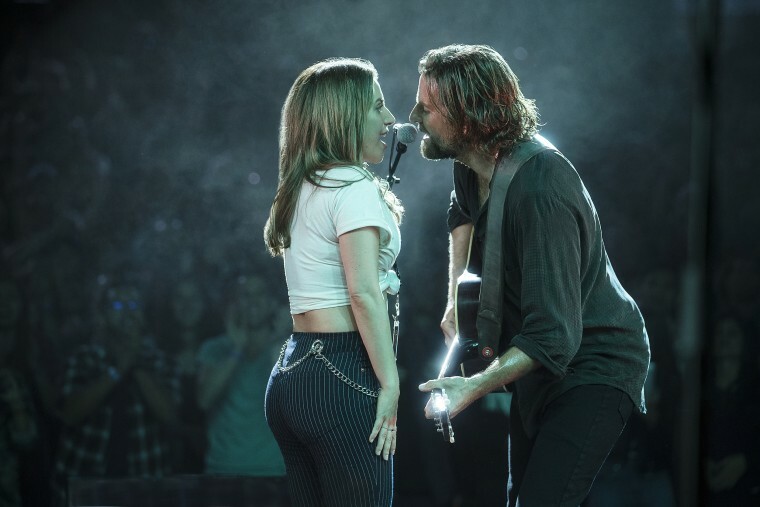 The film, which stars Bradley Cooper and Lady Gaga (with Cooper also producing and directing it), is also quite good at identifying its own shortcomings and extraordinarily clever in disguising them. "A Star is Born" was first released in 1937 as a classic tale of Hollywood made possible by the growing power of women and the remarkable technological leaps that came about following World War I. It told the story of a May-December romance between an old vaudeville performer, Norman Maine, and a new talkie starlet, Ester, rooted in the fear of the old being trampled by the new. Each subsequent version has been updated incrementally, slowly moving the story from Hollywood to the music business. But the film has never lost its primal fear that women, once given a boost on the ladder to success, will climb over the men to reach heights they never could. The 1954 version, which was the first to restructure the story as a musical, starred Judy Garland and was scored by Ira Gershwin. It is preserved in the National Film Registry by the Library of Congress, was named one of the most important films of the last century and the soundtrack has never been out of print. The 1976 version, which starred Barbra Streisand and Kris Kristofferson, moved the characters into the world of rock and roll. The 2018 movie is very aware of this history. The early scenes are dotted with Judy Garland references. The 1976 homage is not as obvious, but the scenes where Cooper is seen performing at Glastonbury were performed and filmed in the middle of Kristofferson’s 2017 set at the festival. Cooper made a four minute “guest appearance,” with Kristofferson in on what was happening. The shrewd use of that Glastonbury footage is only one of the astute decisions Cooper made. His awareness that “A Star Is Born” was a story that existed before him and will be remade again after him permeates the story, giving a metatextual resonance to how the movie talks about music. As the movie states, “Every song is just 12 notes between two octaves.” In other words, every story’s been told before — it’s how the story is told that matters. And how this story is told is what makes it so brilliant, though perhaps not for the reasons people might think. One of Cooper’s more important decisions was to deemphasize the age gap between himself and Gaga. His character, the country-sounding Jackson Maine, is barely 40 while Gaga’s mononymed Ally is clearly over 30. This subtle change makes their differences less about age and more about the culture clash of pop music’s ascendancy in the wake of the music industry’s collapse, as the less-profitable rock genre is subsumed into a one-size-fits-all “country” station. How this story is told is what makes it so brilliant, though perhaps not for the reasons people might think. In earlier versions, the older men slid into addiction as their careers slipped away. Cooper changes this formula; his rock star has been an addict since his pre-teen years, which allows the film to treat addiction like a disease rather than a vice. As a result, the drama between the movie's musical numbers becomes a meditation on what it's like to love an addict rather than what it's like to struggle within an unequal relationship. Blessedly, the movie’s original ending, where Ester declares herself “Mrs. Normal Maine” in an act of self-abnegation, is also altered. Ally may introduce herself as “Ally Maine” in the final moments to sing a rock tinged pop number, but it feels less like a rejection of herself and more like just another pop star chameleon reinvention, not unlike when Beyoncé does the “Hey Mz Carter” call-and-response on her live tour. Not that the film manages to cover all of its faults so gracefully. White male rock gods are still depicted as somehow “more authentic” than female pop stars. Jackson still uses his fame and fortune to dazzle a reluctant Ally into saying yes to his advances. And while the subject is certainly front and center in the dialogue (Ally’s performance anxiety can be traced back to a producer who said her nose was too big), the movie chooses not to struggle seriously with the differing ways men and women are treated by the music industry. That’s a missed opportunity, but the film’s other strengths mean audiences probably won't notice. For now, we can all enjoy a production which is very of the moment, while also feeling timeless enough that people will want to watch it again and again. That is, until it’s remade. Also, the soundtrack will sell like hotcakes.